Sterling K. Brown Join's Marvel's Black Panther! Sterling K. Brown Joins Marvel’s Black Panther! 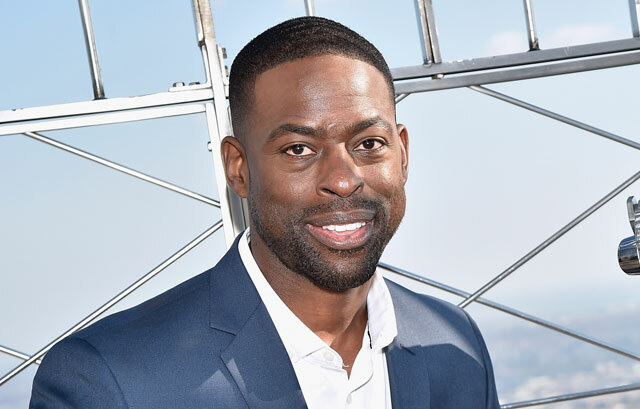 Marvel Studios has announced that Emmy-winning actor Sterling K. Brown (The People v. O. J. Simpson: American Crime Story, This is Us) has joined the cast of their upcoming film Black Panther. Brown will play the role of N’Jobu, a figure from T’Challa’s past. He joins a cast that includes Chadwick Boseman as the title hero alongside Michael B. Jordan (Creed, Fruitvale Station), who will play Erik Killmonger (a villain in the source material), Lupita Nyong’o (12 Years A Slave, Star Wars: The Force Awakens) as Nakia (a former member of Wakanda’s Dora Milaje, now an agent of Killmonger), Forest Whitaker (The Last King of Scotland, Rogue One: A Star Wars Story) as elder statesman Zuri, Daniel Kaluuya (Sicario, Get Out) as T’Challa’s confidant W’Kabi, Florence Kasumba (Captain America: Civil War) reprising her role as Ayo, Winston Duke as M’Baku, aka the villain Man-Ape, Danai Gurira (The Walking Dead) as Okoye (a member of the Dora Milaje, the wives-in-training for the King of Wakanda), Letitia Wright (Ready Player One), and Angela Bassett (What’s Love Got to Do With It, Olympus Has Fallen) as Ramonda, mother of T’Challa. With a script by Joe Robert Cole and Ryan Coogler, the latter will direct the Kevin Feige-produced film which begins shooting in January in Atlanta, Georgia. The film will be released in theaters on February 16, 2018. If you’d like to know more about Black Panther, be sure to check out our previously-published Origins & Evolutions feature on T’Challa by clicking here!